Ultimately the best way to lower your tax bill and preserve your wealth is by moving to a low tax jurisdiction, or tax haven. By living as a UK resident you are subject to tax in the following forms: income tax on UK income, income tax on worldwide income, capital gains tax and inheritance tax. By relocating to a tax haven you will be able to eschew these taxes, in some cases you will pay an absolute minimum amount of tax. Let’s take a brief look at some popular destinations and their tax levels. The jewel of the lavishly decorated Caribbean crown, The Bahamas are a nil-tax haven which means you won’t have to pay any of the tax that you would have back home. Many places boast of having low taxes but few can match The Bahamas where there isn’t even any sales tax! 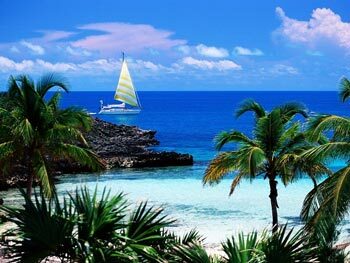 Of course being a Caribbean island, The Bahamas are also a stunningly beautiful place to live. It has easy accessibility to the rest of the world with good transport links and is definitely a destination to consider. Jersey, and the rest of The Channel Islands, is an attractive location for the British expat as they are fairly close to the UK and come with some nice tax benefits. There is no capital gains tax nor is there inheritance tax or sales tax. Income tax is payable at a set rate of 20 percent. The land of Sheikhs and oil is another nil-tax haven that could help your wealth soar to Dubai sky-scraper levels. Here you can prosper with no income tax, no sales tax, no inheritance tax and no capital gains tax. The downside is that life in the UAE will be very different to what you are accustomed to in the west. 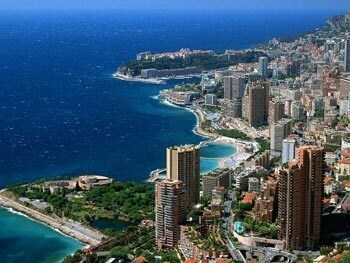 Monaco is one of the more famous and decadent tax havens and is found along the glittering French Riviera. There is no income tax and no capital gains tax and whilst there is business profits tax this is unlikely to affect the individual expat. In terms of tax benefits, the British Virgin Islands frees you from the financial shackles of income tax, sales tax, inheritance tax, corporation tax and capital gains. However there are property taxes and also a payroll tax making it less attractive for those still seeking work and perhaps more appealing to those attempting to escape inheritance or capital gains tax. Beautiful Bermuda is another wonderful place to move to. Here you can shop to your heart’s content free from sales tax. You may work with a smile on your face as you are safe in the knowledge that your income is also free from tax. In Switzerland there is actually a fairly high rate of income tax, it differs from district to district, and can reach up to 35 percent. People are also taxed on their worldwide income. However for wealthy individuals there is an option that reduces tax bills considerably known as the “fiscal deal”. This deal gives the recipient tax breaks and also a residency permit but you will be required to have a fair amount of money already in your bank account, around £1 million. You will not be eligible for the fiscal deal if you plan on running a business in Switzerland. To find out more about these and other tax havens please refer to our offshore tax section, or to our city guides for destination specific information.